Minerva and Domingo Medina live about 50 miles southwest of San Antonio, Texas. Minerva is a willing conversationalist, answering questions and sharing stories in tones ranging from enthusiastic to vulnerable to tickled pink. The vitality she exudes is contagious, which might not be what you’d expect from a 67-year old woman who has spent more time in hospitals over the past few years than she can recall. But to be fair, she was unconscious through much of it. “I’ve been through so many of those experiences!” Minerva says. Methodist AirCare Pilot Steven Powell was on hand to transport Minerva Medina to the hospital for needed care. 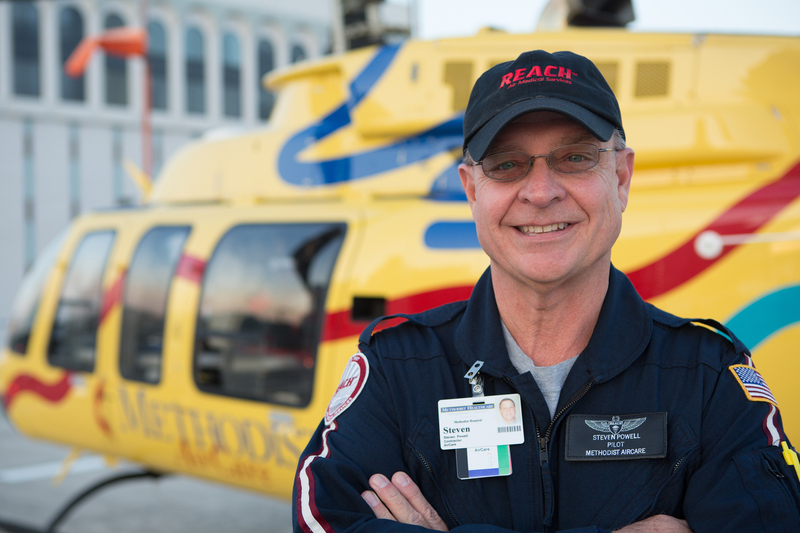 Zach, who originally wanted to be a firefighter, is happy to have found his niche with Methodist Air Care. “I went to the fire academy,” he shares, “and they made me go to EMT school, which I really didn’t want to do. But I ended up falling in love with EMS and decided to gear my education toward being a flight paramedic. I knew it was the best of the best, and this is a great company to work for. 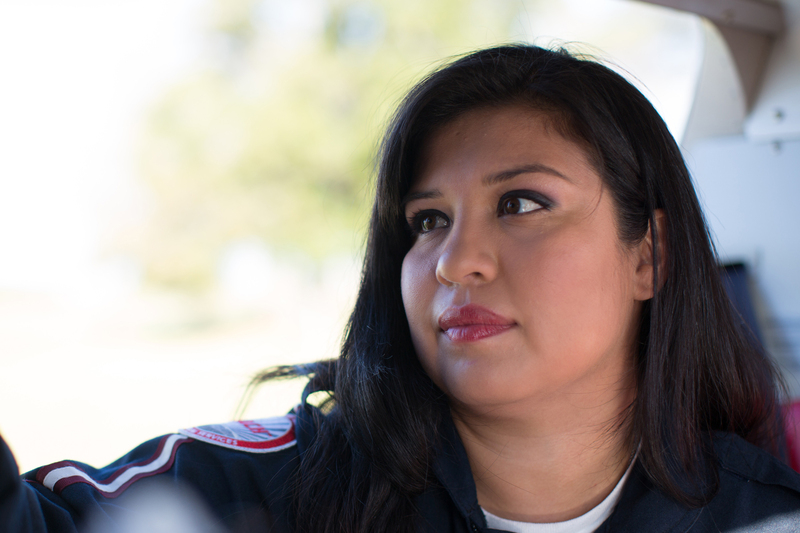 Methodist AirCare Flight Nurse Stefanie Cruz is one of Minerva Medina's fans. "She's a fighter, and that makes our job easier." I can’t thank the AirCare EMTs enough for helping my wife breathe again. If I may say so, they are angels in disguise.